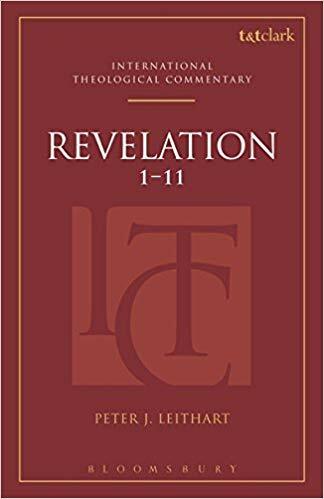 Thomas, Robert L. Revelation 1-7: An Exegetical Commentary, Revelation 8-12: An Exegetical Commentary. Wycliffe Exegetical Commentary. Edited by Kenneth Barker. Chicago: Moody, 1992, 1995. Thomas’s commentary takes a futurist, dispensational approach to Revelation. The most significant weakness of this commentary is the too frequent insistence that a given interpretation must be accepted because it is the more “literal” without distinguishing between literal as “the distinctive epithet of that sense or interpretation (of a text) which is obtained by taking its words in their natural or customary meaning, and applying the ordinary rules of grammar; opposed to mystical, allegorical, etc.” and literal as be “used to denote that the accompanying n. has its literal sense, without metaphor, exaggeration, or inaccuracy; literally so called” (OED). For instance, he insists that Babylon in Revelation 17 must be literal Babylon, or that God will create a white horse specially for Christ to return on (Rev. 19:11; Thomas, 2:384) despite the abundance of symbolsm in this section (a sword coming from his mouth, fiery eyes, etc.). Sometimes he, oddly, takes an element that, if symbolic, would be part of the the symbolism, and uses it as grounds for interpreting something as non-symbolic. For instance, in the midst of several good arguments for the two witnesses in chapter 11 being two actual witnesses, Thomas argues that they have to be actual individuals because “only individual persons can wear sackloth: (Thomas, 2:87). But if the two witnesses are symbolic, surely the wearing of sackcloth is too! So the claim that they must be individuals because they are said to wear sackcloth is a clear example of begging the question. This weakness aside, I think that many of Thomas’s arguments are sound. I found especially convincing his argument for the telescoping structure of the seal, trumpet, and bowl judgments. Thomas is probably the best of the dispensational commentaries. He should be consulted by everyone. Dispensationalists should consult him, of course. But non-dispensationalists should as well. Too many non-dispensational writers use as their foil Hal Lindsay, which is not much better than attacking a straw man. Both Beale and Osborne did interact with Thomas, and it was clear they took his views seriously even when disagreeing with him. 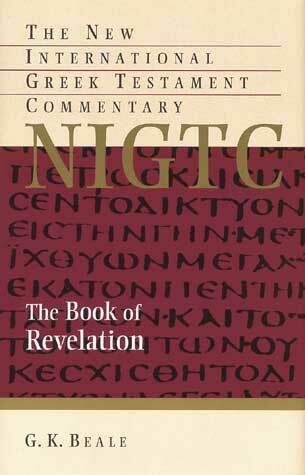 Beale, G. K. The Book of Revelation: A Commentary on the Greek Text. New International Greek Testament Commentary. Grand Rapids, MI: Eerdmans, 1999. 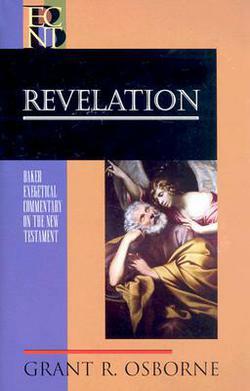 Beale’s commentary takes an idealist, amillennial approach to Revelation. The idealist approach is this commentary’s most significant weakness. Beale identifies his position as “a Redemptive-Historical form of Modified Idealism.” The modification indicates that, unlike a pure idealism, the return of Christ and the last judgment is part of Revelation. Beale’s position is, “no specific prophesied historical events are discerned in the book, except for the final coming of Christ to deliver and judge and to establish the final form of the kingdom in a consummated new creation” (exceptions being 2:10, 22; 3:9–10, which were fulfilled for particular churches) (48). Despite having the best and fullest introduction of the four commentaries Beale provides no argument for the modified idealist approach apart from his critiques of the other systems. He critiques the preterist approach for confining the judgment to the events of AD 70 and to Israel whereas Daniel, on which Revelation heavily depends, and Revelation clearly envisions a universal judgment on the nations. Among Beale’s critiques of the historicist approach, the most compelling is that “[p]roponents of this view living at different periods of church history cannot agree with one another, since they limit the meaning of the symbols only to specific historical referents contemporary with their own times” (46). Beale’s critique of the futurist position is truly odd: “The futurist position especially encounters the difficulty that the book would have had no significant relevance for a first-century readership” (47). By this reasoning the Old Testament holds no relevance for today because it is about events outside of our own present experience. If it is conceded that the past events of the Old Testament do have relevance for the believer today, how could it be denied that prophetic revelation about the future have relevance even for believers who will not be alive at the parousia? This objection is also odd in light of the fact that Beale thinks that Daniel prophesied of future events and in light of the fact that he does think that Revelation itself does predict the return of Christ and the final judgment. Surely he does not think that Daniel was irrelevant to its original audience or that the prophecies about the parousia and final judgment are irrelevant to Christians from the first century to the preceding generation, since Christ did not return in any of those generations. Hence, I fail to see how his argument against the futurist approach has any purchase. So the argument for idealism by means of the eliminating the other interpretive approaches fails. Alternately, there are positive arguments against idealism. Leithart notes that idealism “is not … consistent with the way biblical poetry works. Isaiah describes Jerusalem, not some generic city of man, as Sodom, and so does Ezekiel. Daniel sees beasts coming from the sea, and the beasts are identifiable kingdoms (with some qualifications, Babylon, Persia, Greece, Rome). Daniel sees a goat racing over the land without touching the ground. It crashes into a ram with two horns and shatters the ram’s horns (Dan. 8:5–8). That is not a generic portrait of “conquest.” It is Alexander’s conquest of the Persians. … John is not referring to … some transcendent concept or class of “harlot-city” of which there are many specific instances. He refers to a real harlot city, one that existed in his own time, and that harlot city becomes a type of future cities” (Leithart, ITC, 1:12). Apart from the preterist assumption in the last sentence, Leithart’s observation is compelling. If one’s interpretive method is to be modeled on the genre constraints of the first century, idealism is ruled out. The futurist approach has a pedigree reaching back to the earliest centuries of the church, and the historicist approach also reaches back to the earliest commentaries on Revelation. Preterism does not have as lengthy a pedigree (it was developed after the Reformation by Roman Catholic scholars seeking to challenge the Reformers’ identification of the Roman church with the beast and harlot; cf. Leithart, ITC, 1:15), but it could be claimed as a form of historicism. Idealism, however, seems to be a novel approach and the least supportable based on genre considerations. Related to his idealism, Beale takes the book of Revelation to be fundamentally symbolic. In response to those who say that the book should be interpreted literally unless there is clearly symbolism, Beale argues that the use of ἐσήμανεν in 1:1 indicates that the book should be interpreted as symbolic unless there is a clear indication that it should be interpreted literally. I don’t think that either of these a priori approaches is a good way to approach the book. With regard to Beale’s contention, the presence of ἐσήμανεν in 1:1 does not indicate that the book is symbolism unless otherwise noted. The verb is commonly translated in this verse “made it known” (NIV, NRSV, ESV, CSB; cf. LEB, NASB). Furthermore, in practice, Beale sometimes takes the interpretations of the symbols given within the book and interprets the interpretations symbolically. That strikes me as just as absurd as trying to interpret symbols literally. Another weakness, related to his idealism, is Beale’s insistence on seeing the events of Revelation within the “already-not yet” paradigm. I heartily concur that the already-not yet paradigm exists in the New Testament, but Beale works very hard to press “not yet” elements into the already. For instance, he argues that the statements about Christ’s coming (e.g., Rev. 1:7; 22:7) “likely do not allude primarily to his apocalyptic appearance at the end of the age but to all his unseen comings in judgment throughout the age and climaxing with the final parousia” (185; cf. 197-98, 1127). In response, Revelation 1:7 refers to Christ coming in the clouds, to every eye seeing him, and to the tribes of the earth mourning. This has to be “his apocalyptic appearance at the end of the age.” A survey commentators on this passage, some of them idealists (Oecumenius, Fulgentius of Rupse, Alford, Ladd, Morris, Mounce, Osborne, Fee, Beeke), reveals significant agreement that this verse refers to only to the future return of Christ. In this odd insistence in finding the already in passages that are clearly about the not yet, Beale seems to be the mirror image of traditional dispensationalists who work hard to fit passages into their pre-arranged system. For the traditional dispensationalist, the challenge is to make passages about the kingdom’s presence relate only to the future; for Beale, the challenge is to make passages about the future apply directly to the present. In both cases, I can see how one can make the exegesis work if one has to, but the very effort seems to throw up a red flag. Beale’s commentary is nonetheless very useful. His theological comments are always sound. 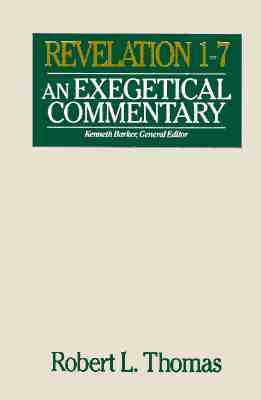 His introduction is the fullest and most helpful of the four commentaries. Most significantly, he gives careful attention to the use of the Old Testament in Revelation. The commentary is worth reading if only to harvest his collection of allusions and parallels. But the commentary is worth more than that. When not being hindered by his idealism, Beale’s comments are frequently the most perceptive of the four commentators. Leithart, Peter J. Revelation. Vol. 1 & 2. The International Theological Commentary. Edited by Michael Allen and Scott R. Swain. New York: T&T Clark: 2018. Leithart’s commentary takes a preterist, postmillennial approach to Revelation (though his interpretation of Revelation 20 is the standard Augustinian, amillennial interpretation). The preterist approach is a significant weakness to this commentary. Leithart insists that this approach is necessitated by Revelation 1:1’s statement that the book is about “things that must soon take place.” However, by insisting that “soon” must mean that the events of the book will take place within the next several years after writing, Leithart’s interpretation of other passages within the book at times border on the absurd. To note just one: Leithart argues that the New Jerusalem described in 21:9-22:5 is “the church in the present age” (though he does take the city of 21:1-8 to be the new creation) (2:357-60). This leads him in 22:6 to argue that the curse imposed after the Fall in Genesis 3 is lifted for the church in the present age (2:402). Since there are other ways to take “soon”—Beale notes that in some contexts it could mean “quickly” and refer “a swift, ‘unexpected’ appearance” or that it could indicate that our conception of soon and delay is not the same as God’s (2 Peter 3:8-13)(Beale, NIGTC, 1134-36)—it is best to adopt one of those readings and avoid the absurdities elsewhere. Another difficulty with the preterist approach to the book is that it depends upon dating the book prior to AD 70. Leithart makes a good case that such a dating is not impossible and that it should be given more credence by other interpreters. However, the possibility of an early date is far from the probability, much less certainty, of such a date. If such a piece of information is crucial to the right interpretation of the book, one would expect that information to be present within the book. Daniel dated his visions, so there would be precedent for dated visions within Revelation. The absence of such dating points away from the preterist view. Another weakness of this commentary is Leithart’s own idiosyncratic theological positions as represented in the Federal Vision and in his book, The End of Protestantism. These do make appearances at points in the commentary. A third weakness also contributes to one of the book’s chief strengths. If a significant person, place, or thing occurs in the text of Revelation Leithart will give a full survey of all the appearances of that something in Scripture and attempt to draw connections. I recall a reviewer of his commentary on 1 & 2 Kings observe that 2/3’s of the connections that Leithart attempted to make were to fanciful to be credited but that the commentary was worth reading for the 1/3 which were valid and which other commentators missed. The same is true of this commentary. It would be worth reading just to pick up on the pervasive Old Testament allusions within the book. Leithart is also a keen observer of the details of the text. Since in much of the commentary he is operating within the narrative flow of the text rather than making applications of the symbolism to the first century, much of the commentary maintains its usefulness. His comments on chapter 7 provide an example of the utility of his observations coupled with the need to qualify his positions. He argues that chapter 7 “is not an interlude (pace Farrer 1970; Reddish 2001: 141; Mounce 1997: 154; Smalley 2005: 177; and many others). To treat it as such is to miss the critical progression from the end of chapter 6 to the beginning of chapter 7. True, the opening words of verse 1 mark a disjunction in the vision (μετὰ τοῦτο; in some texts, μετὰ ταῦτα; cf. 4:1), opening a section that continues through eight verses before a new section begins with a similar phrase (μετὰ ταῦτα, 7:9). Yet the sealing is also a continuation of the world-collapse episode begun in 6:12–17. It portrays heaven’s answer to the martyrs about the “short time” of waiting. It shows us why the universe begins to collapse but does not collapse (Farrer 1964: 105)” (1:277). He further observes, “Later, when the first trumpet trumpets, some trees are harmed—a third of them (8:7). … So the restraint is taken away when the trumpets start blowing. The angels’ blowing releases the wind; the blowing of trumpets is the blowing of the wind, which harms the land, sea, and trees” (1:321-22). Yet, in this same context Leithart makes other less convincing connections. For instance, he claims that since the temple was made of wood, the trees in chapter 8 represent a sacred grove which represent the temple. Thus the blowing down of the trees represents the destruction of the temple. Leithart also is incorrect in seeing all of chapter 7 as part of the sixth seal. Even if he is able to demonstrate connections between chapters 6 and 7, chapter 7 is an interlude. By the end of chapter 7, the reader is certainly taken out of the narrative flow of the seal, trumpet, bowls sequence. Finally, I would note that of the four commentaries, Leithart is the most sensitive to how literature works and brings a literary sense to the work. This would not be my first recommendation, but it is worth reading (and at points skimming) alongside other commentaries on Revelation. Osborne, Geant R. Revelation. Baker Exegetical Commentary on the New Testament. Edited by Moises Silva. Grand Rapids: Baker, 2002. Osborne’s commentary takes a largey futurist, premillennial approach to Revelation. The most significant weakness in this commentary is his willingness to mix the idealist and futurist approaches. As might be expected, I find Osborne least convincing when he adopts an idealist interpretation. The strongest point of this commentary is its survey of Revelation’s theology. Osborne gives a better survey of Revelation’s theology than any commentary I’ve looked at. Osborne is also fair in handling weighing what is symbolic and what is not in Revelation. For instance, when discussing the first trumpet judgment, Osborne says, “My view is that while the imagery of these judgments is symbolic, the tensive symbols were meant to function at a literal (what if?) level. So the way they should be thought about is to contemporize them [e.g., “We are supposed to picture one-third of all the great forests of the world (the Amazon, the Congo, Yosemite, Yellowstone) burned down.”], which is what I do throughout the remainder of this volume” (351, n. 5). Though I lean toward viewing this as a true judgment by fire (Thomas makes a compelling argument for this based on the parallel with the Egyptian plagues), I think Osborne presents a viable alternative as well. Often Osborne is modest in his claims, noting that something in Revelation may be symbolic (and understood in the restrained method noted above) or it may be literal—time will tell. I find this approach to symbolism much preferred to Beale’s more speculative approach. Though on numerous issues, I find myself siding with one or another of the commentators against Osborne, in general he was my favorite commentator on Revelation.